mumbled "Join the Harry Potter Community!! " Hello guys, have you ever wondered where you can roleplay, create an account and share the most beautiful aesthetics? Download Amino right now in the app stores/ Android Google Play and join our community filled with Potterheads! 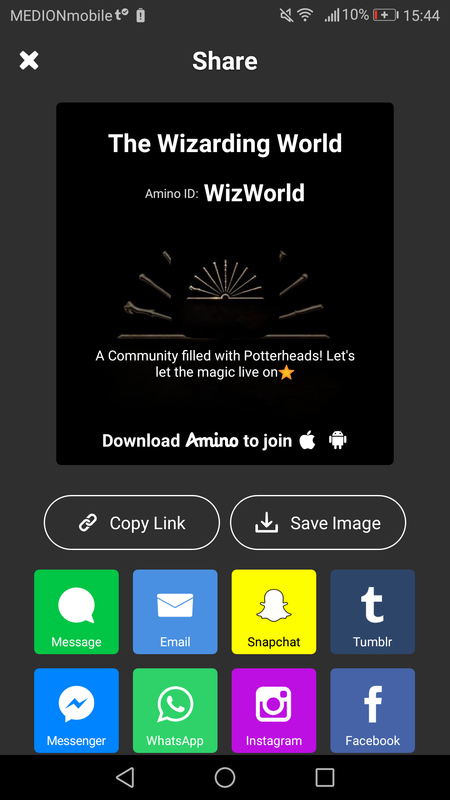 mumbled "Amino The Wizarding World HP"
Check out my new community, on the app Amino. Here's and invite to my community- The Wizarding World HP. We are in need of creative curators, those are people who help to reign the community. Applications are followed in the app. You can download Amino in the Appstore for free, or on Google play. In this community you can chat with your own house mates, eat in the great hall, Roleplay with potterheads, blog about the fandom, make polls, Q&A's, Take place in Events, Contests, Share your art. Read memes, discuss books on chats, talk privetly, make friends etc. no offense, but for comments for a book saying to read your book, it kind of takes away people from this book to read yours. just wait for people to read it instead of posting it on someone elses comments. it is just kind of rude.